It’s been said that the proof is in the pudding. 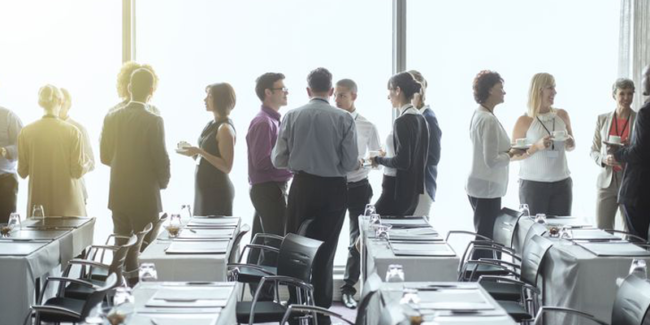 We can’t offer any pudding, but we can show you how content marketing has assisted CleanTech businesses in connecting with customers. Alton Materials (AM) and Recycling Consultants (RC) were looking for a strategy to attract more online leads. This was a tough proposition considering that neither of these sister companies had much of an online presence. In order to boost their footprint on the internet, both companies based their blog posts on relevant keywords. After their visitors were delighted by the useful posts, they were presented with an even more valuable PDF on scrap management. With the contacts made through this offer as well as a newsletter, AM and RC found the base necessary for a targeted email campaign. By the end of June 2013, AM’s total web traffic saw a 126% increase compared to the three previous months. Their search engine traffic went up an eye-opening 262%! In the second quarter of 2013, a single post attracted more than 2,000 visitors to Alton Materials’ website. Recycling Consultants and Alton Materials continue to see a steady flow of leads from their downloadable offers and newsletter subscriptions. From the instant the website loads on your screen, you can see that SolarCity is a major proponent of Inbound Marketing. On the main page, there’s a subtle but clear call-to-action that encourages users to enter their zip code. This is a great tactic because it makes qualifiers feel like winners. It also gives SolarCity trackable marketing metrics. Speaking of trackable, SolarCity gains many of their contacts by collecting email addresses. This is one of the major benefits of having a newsletter. There’s a reason why visitors hand over their email addresses. 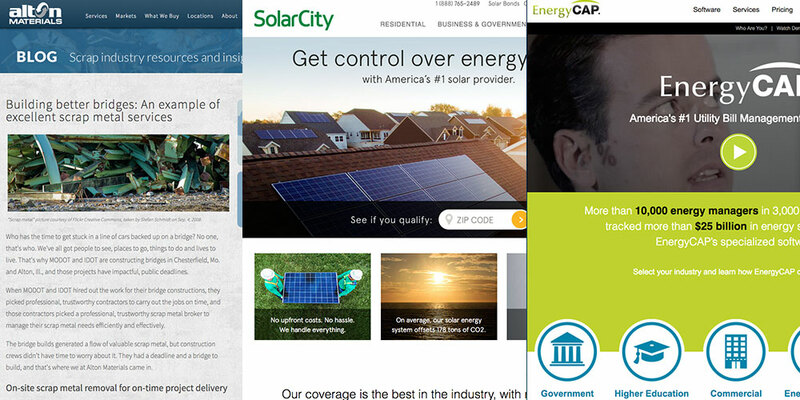 SolarCity provides customers with engaging content that is aimed at specific personas. Industry insiders will enjoy posts like “Stay Current: This Week’s Best Solar Links”. For newbies, something like “Celebrities Taking a Stand for the Environment” can act as a good intro to the world of renewable energy. The makers of America’s number one utility management software recognized the value of content. Unfortunately, they struggled to track their ROI and produce qualified leads. 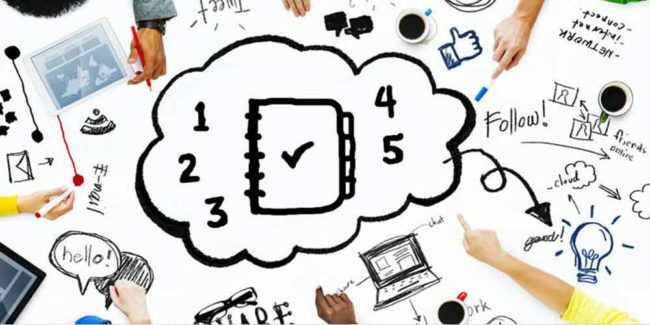 Logically, they turned to the more customer-centered approach of Inbound Marketing. This included keyword research, effective call-to-actions, and improved landing pages. 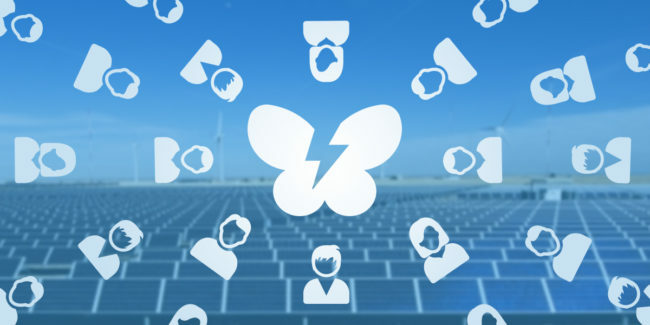 These are some of the best content marketing examples for connecting with customers in CleanTech, but they are by no means the entire story. By getting the most out of your content with Inbound Marketing, you too can achieve similar or even better results. If you have any questions about how to get started with an Inbound Strategy for your company, don’t be shy, reserve a time to speak with us here. Start your success story today!